This one was one of my favorite indie efforts this year. 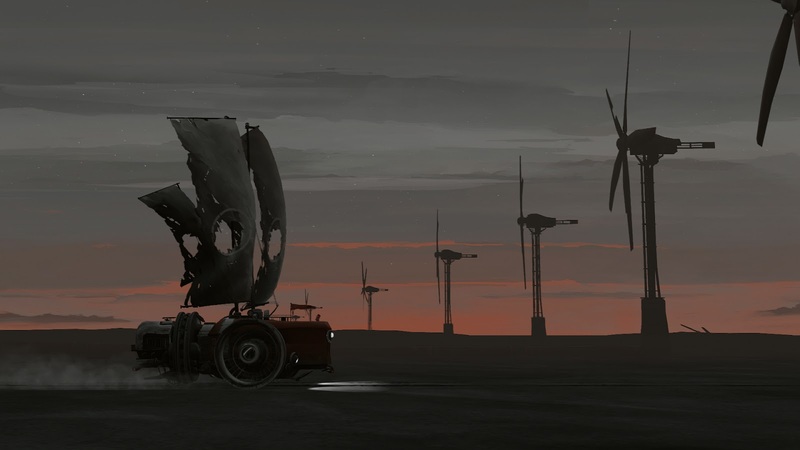 While comparisons will be made to the better known, but also excellent Limbo and Inside, FAR: Lone Sails manages to be something all of it's own. It definitely shares some of the mechanical simplicity of Playdead's efforts, in that the gameplay consists of you moving from left to right with minimal narrative, through an exploration that is driven entirely by environmental storytelling. 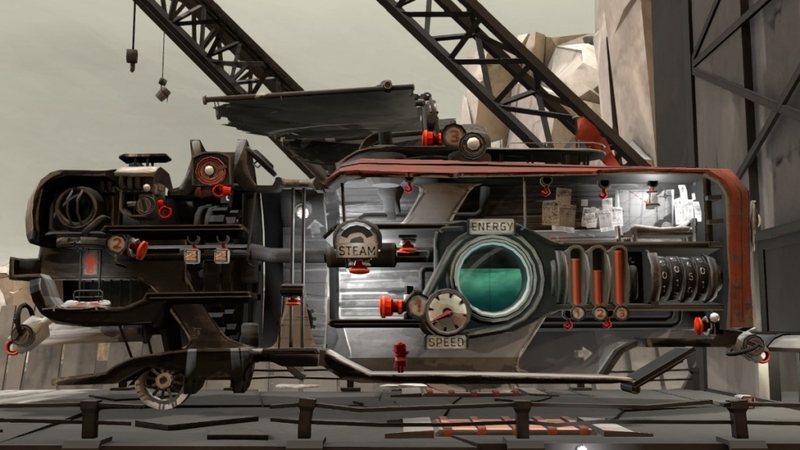 The difference is that rather than being grounded in more traditional platforming, here you are maintaining a steampunk sail-ship of a sort. You take on the role of a young girl, who needs to keep this vehicle going if she is to reach her goal. You need to maintain the sails, find fuel for the engine for when there is no wind, and repair the ship as it breaks down. Its not the most demanding of game-play challenge wise, but it does keep you engaged with the tasks at hand. The game doesn't pressure you too much, but despite the pleasant pace, the resource management still manages to feel meaningful. The key part of the experience however is the world you travel through, and the story that is told without words. The art direction here is wonderful. This world is desolate but maintains a beauty that keeps you wanting to see what you come across next. When you have to leave the ship, the game does a fantastic job of giving you a sense of scale of this massive abandoned world around you. The camera pulls in and out intelligently, managing to give you this sense of how big and scary this world is when you are away from the relative safety of your ship. It is full of these lovely little moments of melancholy, and the soundtrack is a perfect companion as you move along. You collect little lost mementos as you move through the world, and slowly but surely the game builds up your connection to the journey that it takes you on. 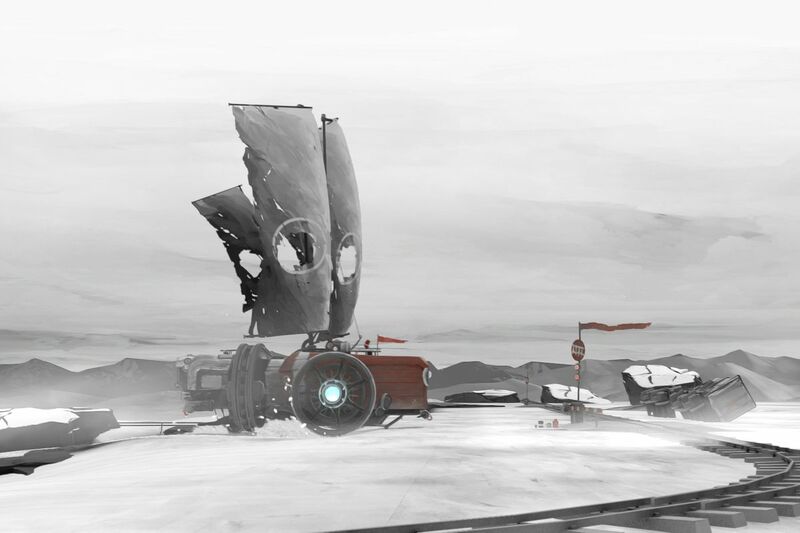 FAR: Lone Sails presents the type of storytelling that I love, so this one is easy for me to recommend.